Subject: Plate 110: Page 12. 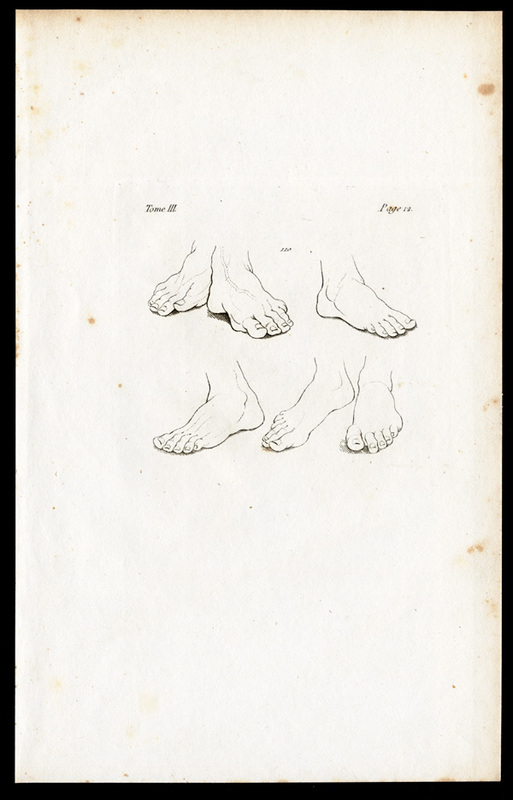 This plate shows various feet in different positions. Size (in cm): The overall size is ca. 16 x 25 cm. The image size is ca. 9 x 7.5 cm. Size (in inch): The overall size is ca. 6.3 x 9.8 inch. The image size is ca. 3.5 x 3 inch.